One of the unique (and little-noticed) features of our area is our abundance of bridges. A significant number of these are on paved roads. We could design a route that crosses the 20 bridges in an around our area that are on paved and hard-pack roads. We could even call the race La Tour des Vingt Ponts. 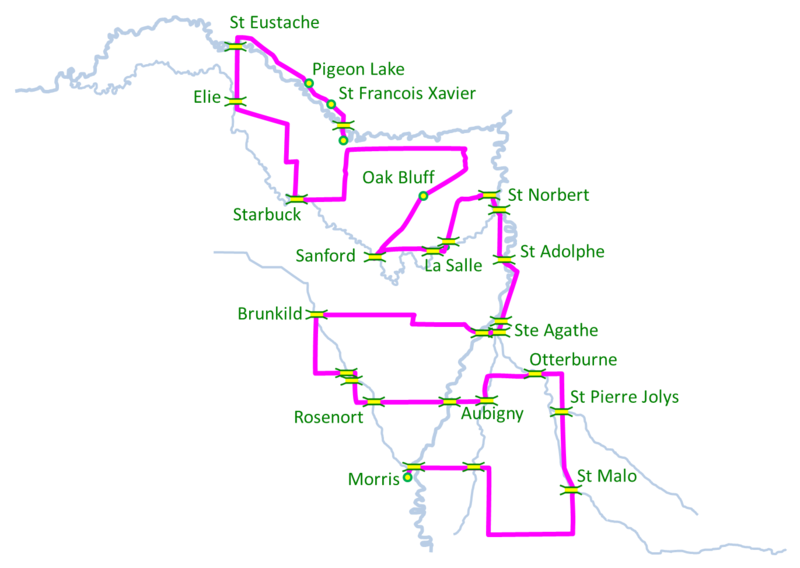 The route could start in the town of Morris and end in Beaudry Park, taking in St Malo, St Pierre Jolys, Aubigney, Rosenort, Brunkild, Ste. Agathe, St. Norbert, La Salle, Sandford, Oak Bluff, Starbuck, Elie, and St. Francois Xavier—as well as a number of smaller communities—on the way. 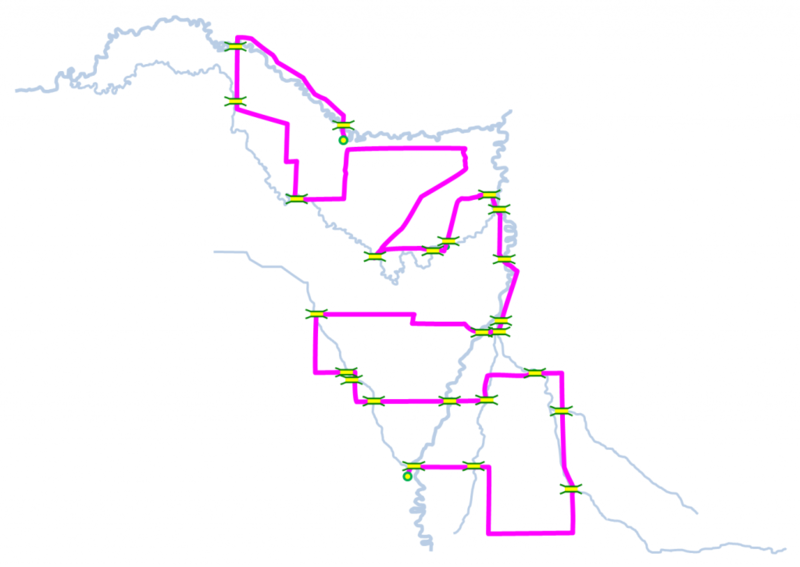 The route as laid out is roughly 350 km long. It probably makes the most sense to make this a multi-day race, with two or three overnight stops in communities along the way. It would also be relatively easy to shorten the route. It enables us to make the race run over three to five days. This will attract more riders, more media attention, and more spectators, all of which means everyone participating spends more time (and money) in our area. It introduces everyone involved to the whole of our area, rather than just one part of it. It brings our communities together in a shared event. A considerable amount of discussion will be needed to develop a route that balances these benefits and challenges. My apologies about my lack of French. I’m sure “La Tour des Vingt Ponts” is a lousy way version of “The Tour of the 20 Bridges”. I welcome your suggestions.